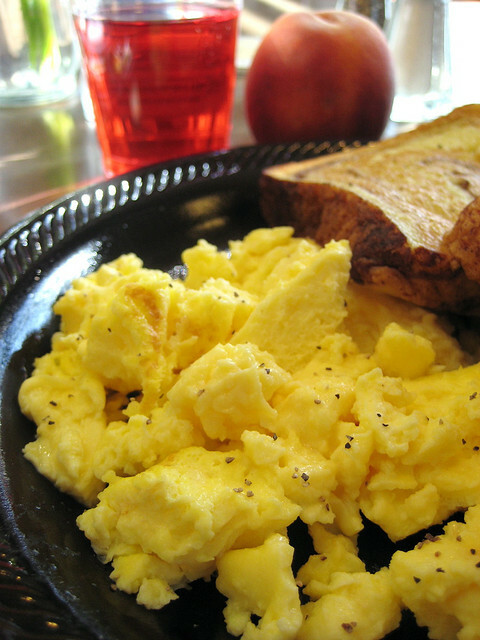 A Cure for Egg Allergies? WARNING: What I am about to discuss is NOT something you should try at home if you are dealing with Food Allergies. It is something you might want to discuss with your doctor. I came across this article on New Treatment for Kids with Egg Allergy this morning while browsing on Facebook. I find this type of treatment very interesting, but also very scary. What is it? Basically, the allergic child is fed a very tiny amount of the allergen daily for several weeks which may reduce or eliminate the allergy. Please don’t try this at home. I would so love it if my little one were not allergic to eggs, but at age 6 he is still very allergic. He can’t even be in the room when we are scrambling eggs as he gets an instant reaction. The older they get with no signs of the allergy diminishing the more likely they are to keep the allergy into adolescence and adulthood (or so I’ve read). They have said that they’re trying the same types of treatments for peanut allergies. Very interesting! What do you think? If your child was offered this treatment would you try it? I’ve just come across your site. What you suggest for treatment is exactly what we are doing with our son (now 21 months old). We started with well cooked biscuits, just a small piece and worked it up to a whole biscuit. It was great to see how he gradually stopped reacting to the egg. Now he gets a daily dose of quiche. The first little bite caused reaction, but now he can eat a whole party sized quiche no problem at all. In time he should be able to eat pavlova, scrambled eggs etc. But yes, this probably wouldn’t work when the allergy is severe. Thanks so much for sharing your experience with this. I think my kiddo’s allergies are too severe to try this, but I’m so glad it’s working for you!